ReddSoft | Download AIMP 4.50.2048 Full Offline Installer - Kembali lagi bersama saya, admin REDD, pada kesempatan kali ini saya akan membagikan versi terbaru dari salah satu media player favorit admin, yaitu AIMP. Nah versi yang akan admin bagikan kali ini adalah AIMP versi 4.50.2048 offline installer yang merupakan versi terbaru saat ini (2017). Common: the LAME codec has been updated to v3.100. Fixed: Lyrics - auto search does not work for tracks from CUE sheet. Fixed: Music Library - player processes meta data of track incorrectly if the title field contains a "feat" key work. Fixed: Music Library - filter by the "(none)" value works incorrectly in some cases. Fixed: Skin Engine - known issues have been fixed. Fixed: Lyrics - the LRC file format parser processes some brackets incorrectly. Fixed: Plugins - InputFFmpeg - the AlbumArtist tag field was not read from file tags. Fixed: Plugins - InputFFmpeg - memory leak. Small bugs and defects were fixed. 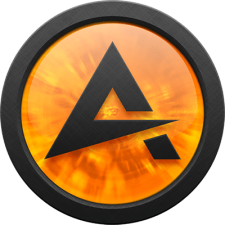 2 Responses to "AIMP 4.50.2048 Full [Offline] Installer Download"